The Brightwater Commons (previously called Randburg Waterfront), built in 1996, was comprised of a large oval of shops and restaurants surrounding a lake in a natural depression in President Ridge in Randburg fed by the Jukskei River. Traditionally popular with teenagers and families, offering live bands, African dancers, a cinema complex, combined with a wide choice of restaurants and flea market stalls, in recent years it saw a drop in its popularity, with many shops standing empty. Click to view Gallery images. The new Brightwater Commons re-launched under the name The Brightwater Commons, is designed around the concept of an urban shopping space, the refurbishment of the Brightwater Commons demonstrates a transformation from a stark harbor and warehouse development into a welcoming small town streetscape. Owned by Allan Gray Properties, the total exterior component of this R80 million refurbishment comprises soft landscaping, paved walkways, a village green and a redesigned watercourse, together creating a totally new environmental and urban experience. The Brightwater Commons have the only shopping centre of its kind – rolling lawns surrounded by retail. As such it's an ideal venue to accommodate many types of events. 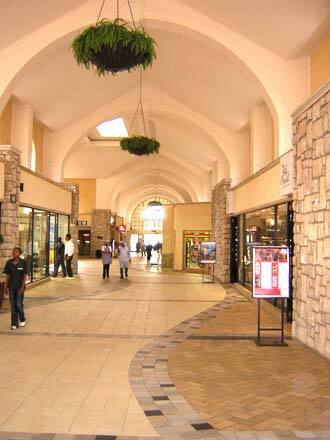 What other shopping centre could showcase products, host workshops or exhibitions, in an environment like this? The change brought about by the refurbishment and subsequent re-launch of the Randburg Waterfront to The Brightwater Commons, has prompted us to make a concerted effort to focus our marketing on attracting families within the primary catchment area. We believe our location, parking and tenant mix, would be a very good platform to accommodate product launches, workshops, seminars or exhibitions in an environment such as we are aiming for.